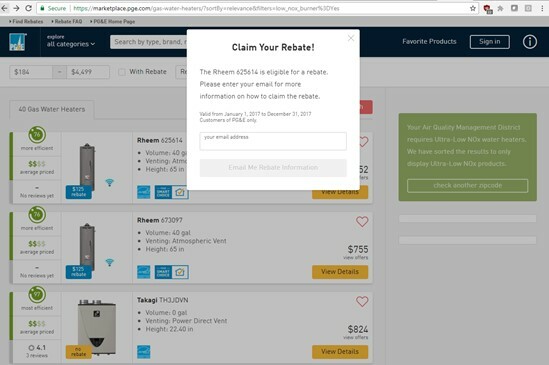 Marketplace is PG&E’s online smart energy marketplace (https://marketplace.pge.com) that provides visitors with information on energy use, potential energy savings, lifetime operating costs, specifications, ratings, availability of rebates, pricing, and local store availability for a selection of 19 home appliance and consumer electronics product categories. PG&E has been offering Marketplace to its customers since March 2015. This report assesses the potential to estimate sales and energy savings associated with Marketplace in order to inform how PG&E might best position the service.